I’m going to keep this simple and straight to the point. While using the cinnamon roll dough for my upper and lower crust was a complete random use of my imagination, I’d like to give credit to the original recipe for the pie filling. I found it on allrecipes.com and you can watch a video on the link for more specific directions. Otherwise a shortened version is included below for your use. Preheat your oven to 425 degrees. Then peel and core your apples. I chopped mine up into 1/2 inch chunks because I wanted the filling to lay flat for the topping. 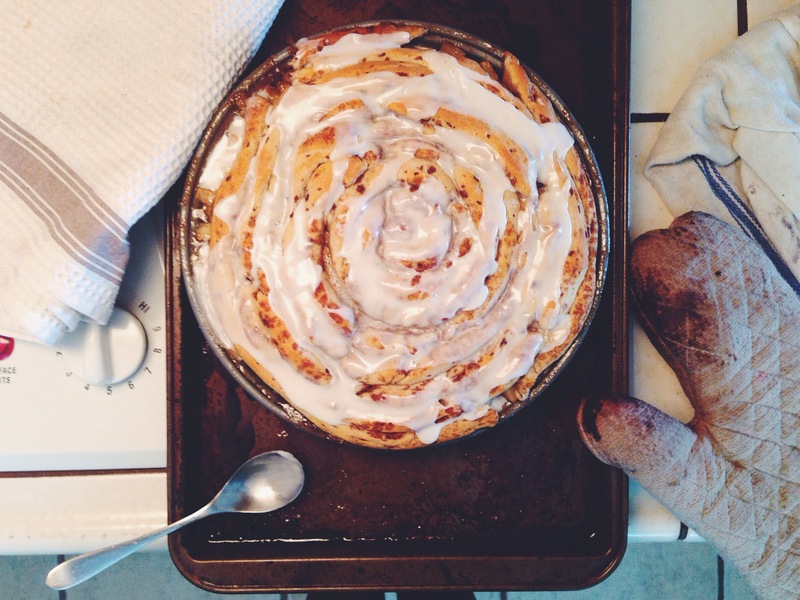 Grab your pie pan and both packages of cinnamon rolls. I cut my rolls in half down the sides. I placed the tops of the cinnamon rolls back in the fridge to be used later as the top crust. I then rolled the bottom halves into a big ball and then flattened it out with a rolling pin to use as my bottom crust. 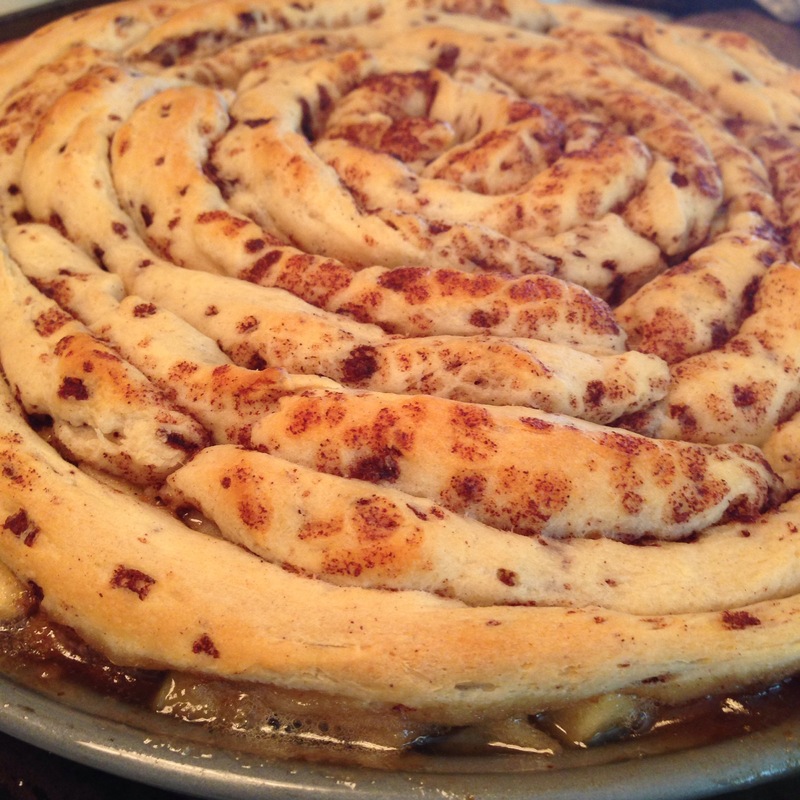 Make sure you grease your pie pan before laying down your cinnamon roll crust. I had to maneuver and stretch mine quite a bit to cover the bottom and I only had it come up the sides a 1/4 of the way. I started circling the dough from the center. Dump your apples into the pan and pour over the simmering butter/sugar mixture. 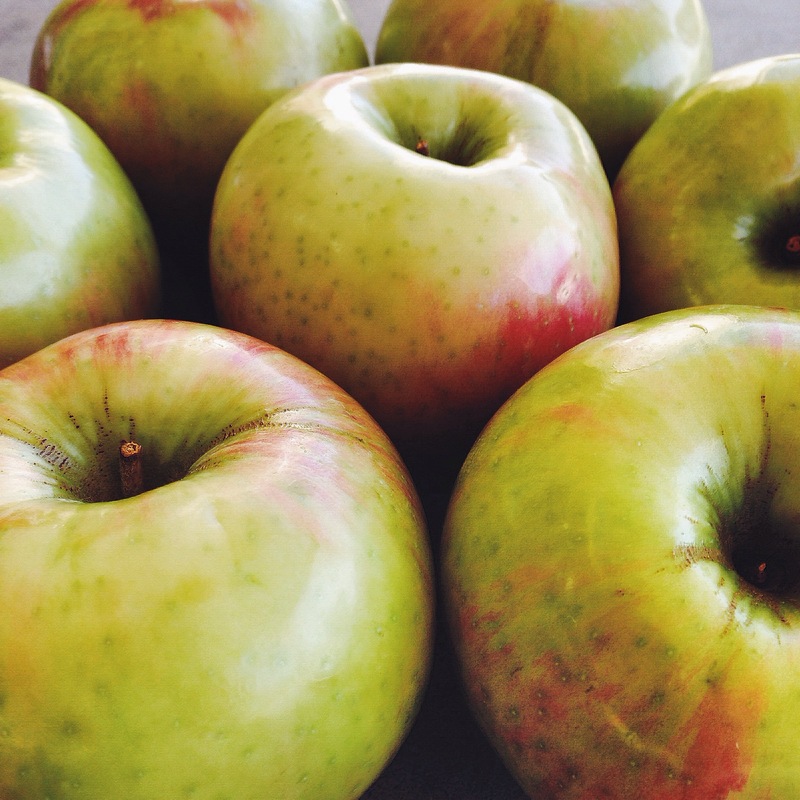 Feel free to toss the apples around for complete coverage if your mixture got a little thicker while simmering. 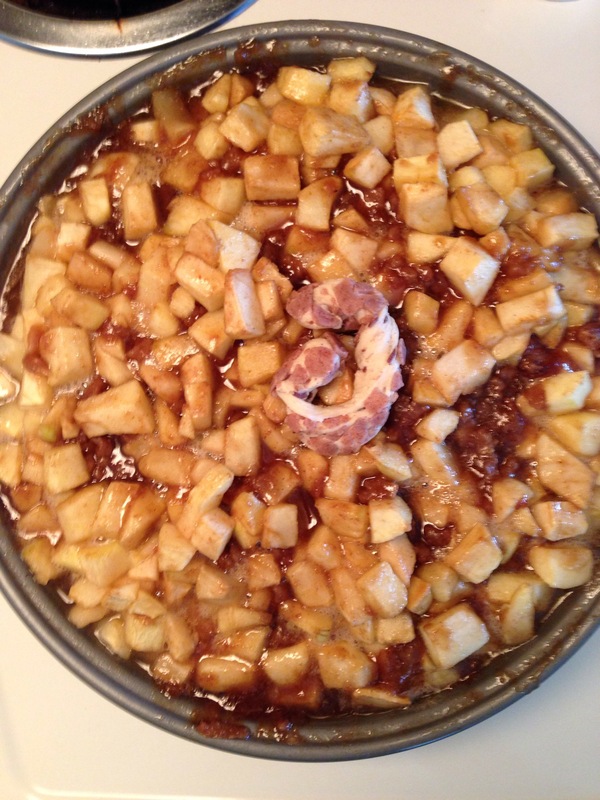 Another option is to toss the apples into the mixture once you remove it from the heat and then dump the entire pot of apples/sugar into your pie pan. It’s easier to coat them thoroughly this way. Place your pie into the oven for 15 minutes. Then lower the baking temperature to 350 and cook for an additional fifteen minutes. During this time grab your remaining cinnamon roll tops and start rolling them into thin long strands. You should have 16 strands total from both packages of cinnamon rolls. This is what your crust should look like when it’s done baking. Once the pie is done baking remove from the oven. Begin to twist your cinnamon roll strands in a circular motion starting from the center mimicking a real cinnamon roll. Each time you connect a strand pinch together so they won’t separate during baking. Once you’ve covered the entire top of your pie, place it back in the oven for an additional 15-20 minutes. I cooked mine on top of a cookie sheet because my apples and sauce were so juicy it started spilling over the sides. This prevents spills in your oven. If the cinnamon roll looks golden brown on top and you can hear your apple mixture bubbling and sizzling then your pie is done. Remove from oven and immediately top with the cream cheese frosting. Let stand for 20 minutes before eating so you don’t burn your mouth. Serve with whip cream, vanilla ice cream, and or caramel syrup for extra oopmh!